Product Features:Hand poured from the finest soybean wax in combination with top quality essential oils, our wax melts are by far the best of the best in desirable fragrance options. With six cubed shapes of greatness you can choose your favorite candle fragrance and have it in the most convenient way possible. 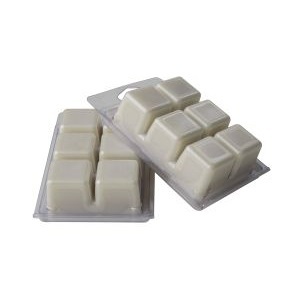 Our soy wax melts will provide close to 220 continuous burn hours per package.